When you’ve tried everything to grow your business and you still aren’t getting results, maybe it’s time for a change of mind. Vibeke Schurch teaches entrepreneurs how to harness the power of thought to change your life. Do you feel like life should be a little easier? Like you’ve been swimming upstream? Maybe you feel like you work too much in your business or you’re just simply looking for a better way to manifest your dreams that requires less pushing and more ease. Maybe you want more money, more freedom or something else? Even though most of us grew up learning that we need to work hard to make things happen, that does not need to be the case when you learn to manifest your desires. It can be as easy as thinking about it and having it show up, once you really learn how to do this. It happens to me all the time, and sometimes the manifestation is almost instant. But I wasn’t always conciously aware of how to do this, even though I did it naturally most of my life. But once you figure it out how it really works, it feels like magic and sure makes your life a whole lot easier and stress-free. But it does take a certain kind of mindset, and it requires that you understand how it really works. We are manifesting things all the time, but the key is to manifest what you really want instead of what you don’t, right? Here are my 7 tips for you to start tapping into your inner superpowers and consciously manifest anything you want. Yes, this process works for anything! 1) Get clear on what you REALLY want. Unless you are clear on what you really want, it will be hard for you to consciously manifest it. Spend some time to get really clear on exactly what you want. You might want to write it out. Remember, anything is possible and don’t sensor yourself. 2) Decide you can have it. Once you know what you want, it’s time to decide you will have it. This is a critical point, because unless you actually decide you want it, the Universe is not going to work on your behalf. Sitting on the fence does not do you any good, as you will just be sending mixed messages to the Universe. Instead, make a clear decision about what you want. 3) Understand that the how is not up to you, it’s up to the Universe. Once you have decided what you want, it’s up to the Universe to help you get it. Don’t get caught up in the how, just trust it will happen. Don’t question it. Decide it is already done. It is a myth that you have to force anything to happen, instead you need to allow the Universe to do its job on your behalf. 4) Trust that even if you haven’t seen evidence of it yet, your manifestations are already in the works. Expect it to happen. The feeling of expectation will actually help draw it closer to you. Take inspired action where you are feeling guided. Once you have made the decision you will have it, you may be surprised at how the Universe will send you the right people and opportunities to pull all the pieces together. 5) Pay attention to your thoughts. Your thoughts are creative and the things you think about most will manifest into your life. Make sure you tell yourself the story you want to be true, even if your physical reality is showing you something else. Focus on what you want rather than what is. For example, if you want to manifest more money, you need to focus on abundance, not lack. Thinking about what you don’t have, will only give you more of that, while feeling abundant and being grateful for what you have will help you get more. 6) Stay in a high vibration. How you feel is very important. Do what you can to make sure you feel good most of the time. The higher your emotion is, the easier it will be to manifest the things you want. Every emotion has a vibration attached to it and you cannot manifest good things from staying in low emotions such as sadness, anger or resentment. You need to shift how you feel first. The better you feel, the easier it gets, so make sure that self-care is included in your schedule. Doing work from a negative state of mind is not very effective and can be counter-productive. 7) Act as if it’s already done and have a huge dose of faith. This is key as it shows that you are trusting the Universe and you are showing your trust via your actions. Saying you trust but acting as if it isn’t, is not very productive. You need to believe it before you can see it. The more you trust, the better it gets! 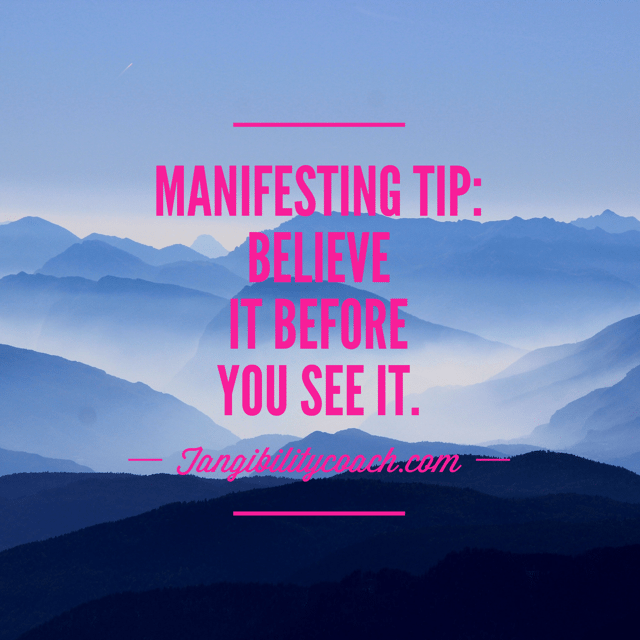 What are you going to manifest? 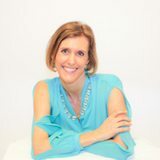 Vibeke Schurch equips holistic entrepreneurs such as coaches, healers and experts with the tools, resources and mindset shifts they need to have, be and do it all. When you have tried everything and still don’t get the results you want, Vibeke comes to the rescue. She’ll teach you the simple steps to grow your business easily and without struggle so you can stop talking about your dreams and step into living them. Vibeke brings 18 plus years of small business experience to her work; she is a coach and energy healer and does deep transformational subconscious work. Learn more at www.tangibilitycoach.com.